Shock, surprise and disappointment: those are the feelings expressed by the supporters of Republican Congressman Todd Akin at his campaign’s watch party after hearing him concede the race for the U.S. Senate. 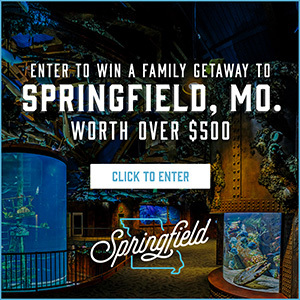 He lost to Democrat incumbent Claire McCaskill by nearly 421,000 votes. 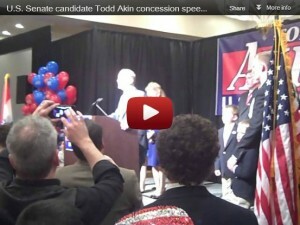 Click the image to go to the video of Todd Akin’s concession speech. Besides expressing frustration at the loss, Akin’s backers said he stuck to his principles and said their candidate left no doubt where he stood on issues.